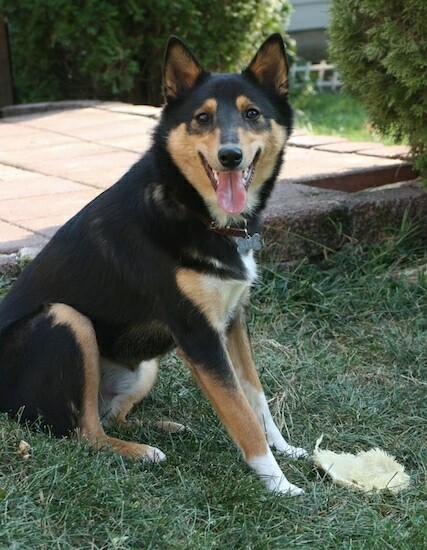 Kita the Sheltie Inu at 1 year old—"Kita has been a great sidekick in daily life and at my place of work. Dogs and children are his favorite. 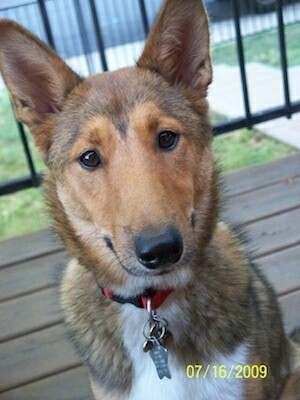 He is the best mix of the Sheltie and Shiba inu. He is a great watch dog, very polite, super clean, energetic and athletic, sometimes cuddly, friendly to all, and loyal to his family." 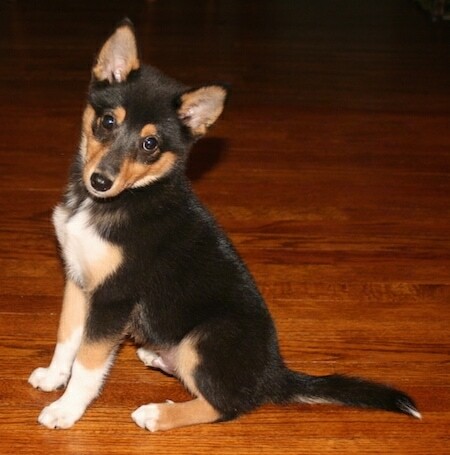 The Sheltie Inu is not a purebred dog. 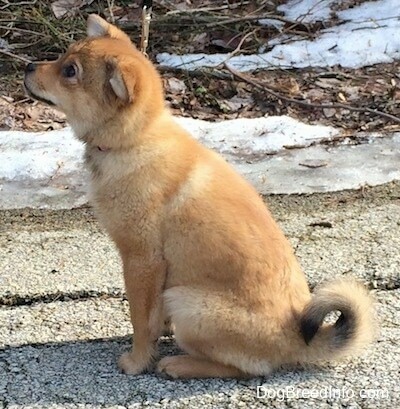 It is a cross between the Shetland Sheepdog and the Shiba Inu. The best way to determine the temperament of a mixed breed is to look up all breeds in the cross and know you can get any combination of any of the characteristics found in either breed. Not all of these designer hybrid dogs being bred are 50% purebred to 50% purebred. It is very common for breeders to breed multi-generation crosses. 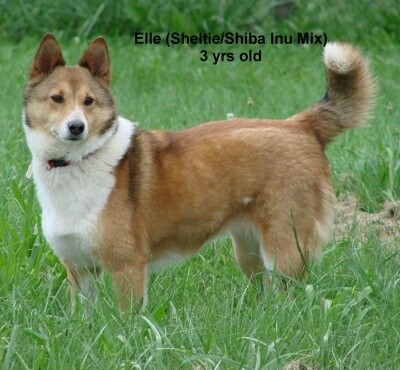 "Elle the Sheltie Inu at 3 years old—she's a wonderful family addition. Has been very easy to train. Barks very little; usually only when she wants to come in from outside. She's not very fond of strangers; will bark when someone comes to the house and runs to the gate. Takes time to warm up to people. Lots of energy but not high strung. Loves attention. She's just beautiful!" 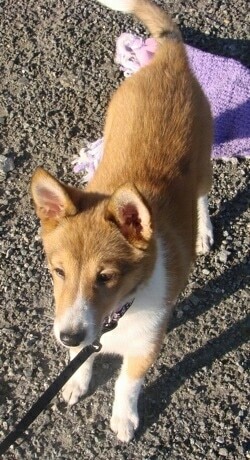 "This is Elle (pronounced Ellie) shown here at 4 1/2 months old. 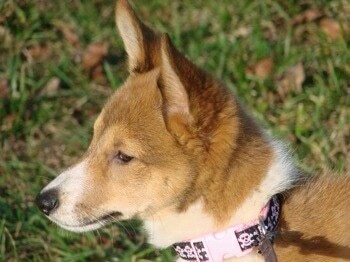 She is 1/2 Sheltie and 1/2 Shiba Inu. Beautiful baby girl, who is learning sign language. 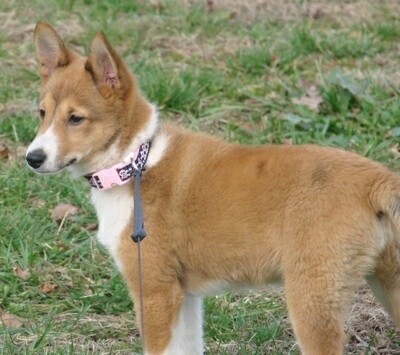 Registered with United All Breed Registry, Inc."
"Hazel was found in a field off a highway and was DNA tested and determined as a Shetland Sheepdog / Shiba Inu mix. 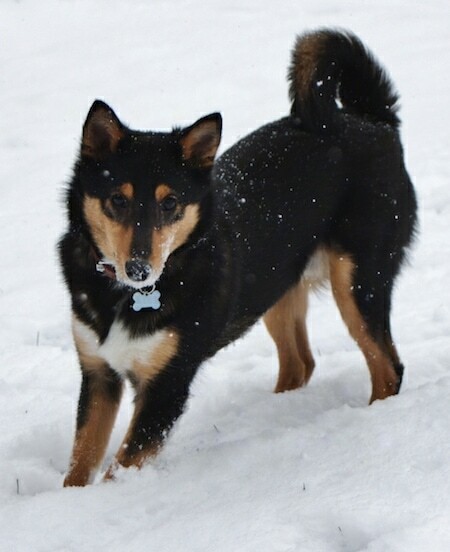 She's 3 in this picture and is a perfect mix of people-pleasing intelligence and Shiba independence. 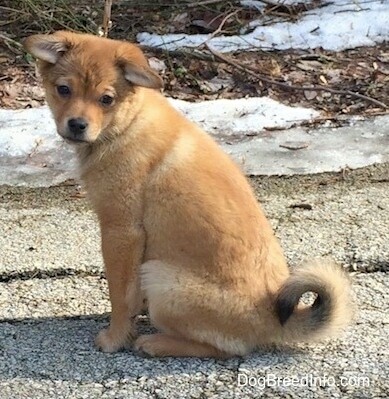 She runs the house of an Anatolian Shepherd puppy, Shepherd mix and a Huskita. Smartest, sweetest dog."